Senate Bill 796 would finally prohibit union leaders from conducting union business during classroom time at taxpayer expense. 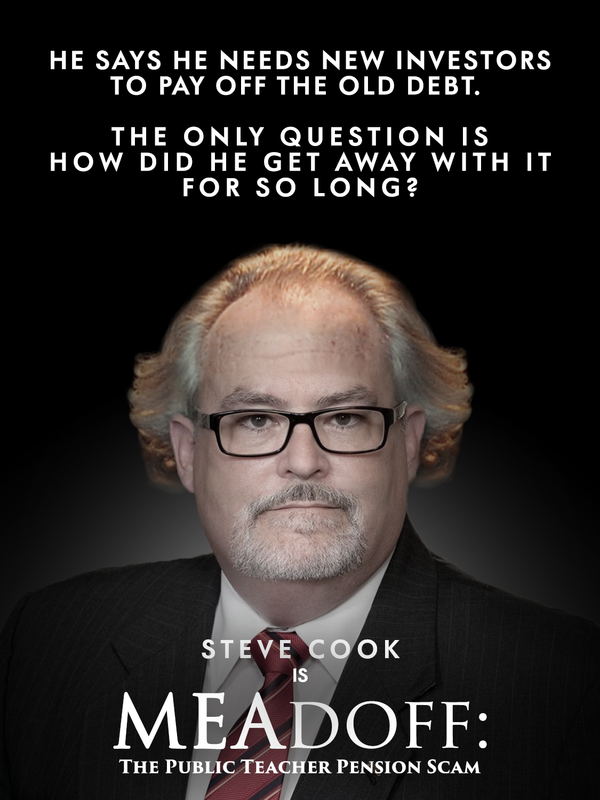 Just as importantly, Senate Bill 795 would close a loophole used by former MEA President Steve Cook and other full time union staffers to raid teacher pension funds to bankroll their own retirements. Cook takes home annual payments of more than $131,000 from the teacher pension fund, despite having worked the last 25 years as a full-time union employee. His annual take from the taxpayer-funded account went up significantly last year, when before he formally retired the union gave him a $23,000 raise. The bookkeeping change boosted the union boss’s annual pension by more than $4,600 more per year, at taxpayer expense. Cook’s only time in the classroom came decades ago as a part-time paraprofessional. Parents expect state education dollars to be spent educating their kids. These common sense reforms will finally ensure that’s what happens.